Last chance to save during Friends & Family Sale at Zales stores is here. 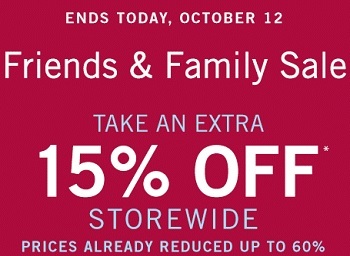 Take an additional 15% off storewide. Prices are already reduced up to 60%. Hurry up, ends today (10/12/2015). Source of the information is Zales. More details available at Zales stores.